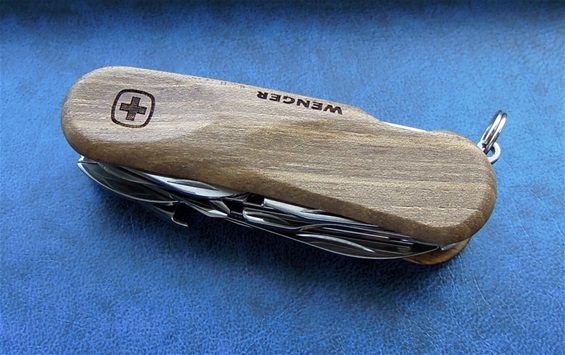 I had to get one more of the EvoWood S557 knives because I found one with an incredible nice look on the wood. See the pictures above and below. 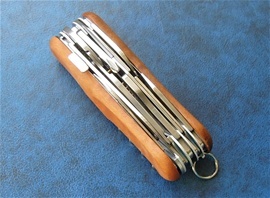 I have never found any EvoWood knife that is not nice, that said. There are many natural and product variations by the Brand. This is on purpose. 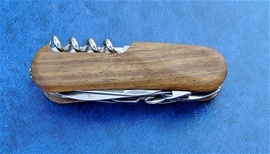 This knife is marked 09 2012. I will let the pictures speak for themselves. 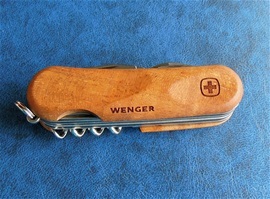 I have secured myself another Wenger EvoWood S557. 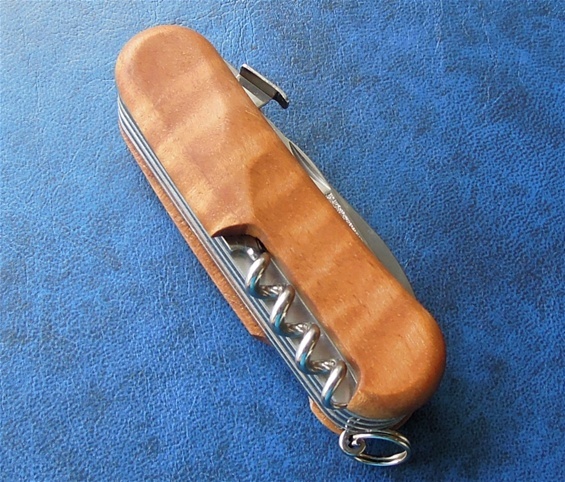 The handle scales made of Walnut wood got variations in texture and shades. You can find dark to light stain in them and this one got an interesting striped backside scale. The main side with the emblem and logo got a combination texture and stained wood. These knives are made with superior manufacturing and are one of the absolute Wenger products that will go into history with excellence. 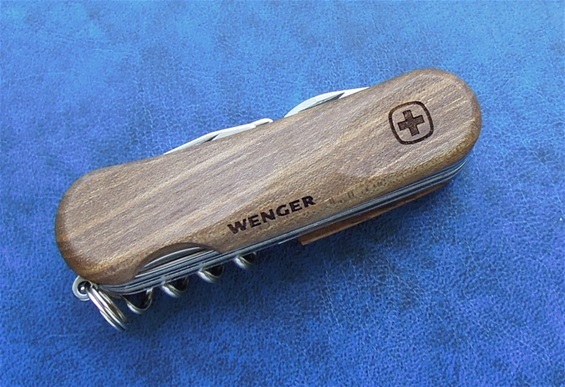 The S557 in itself is Wenger and the Wood material combined makes this the absolute best 85mm in my opinion. I have secured myself some models with this configuration and I a very grateful in deed. Thank you Wenger for the incredible history!